Posted on November 13, 2018 April 15, 2019 By Nikkie M.
With the cold weather comes thoughts of the holidays, family gatherings, and the thoughts of love. It also brings environmental changes, earlier sunsets, a longing for warm weather, and wishing for summer fun. 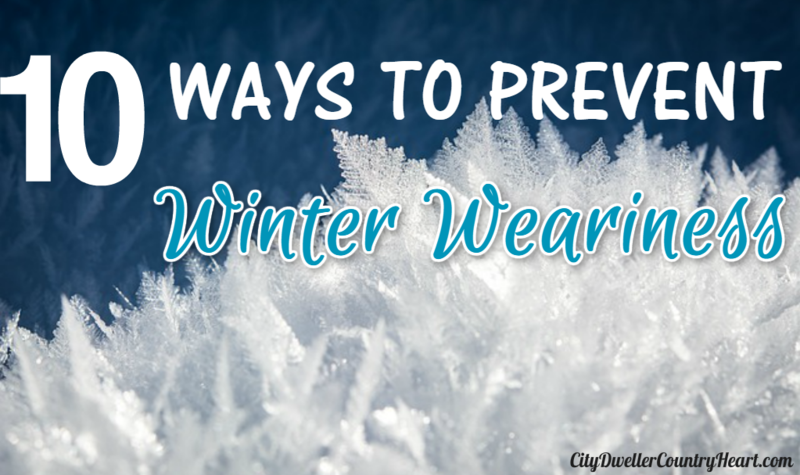 It is easy to get down and wearing in the winter, so here are a few ways to combat those weary thoughts. Nothing pushes the blues away like fresh air. Grab a coat, get out and breathe in the crisp cool air. Even if you are j ust sitting on the porch in a rocking chair, enjoy the scenery and with each deep breath in, allow your stress to blow out into the wind. Don’t like the outdoors? Join a gym and break a sweat in a safe, warm environment. 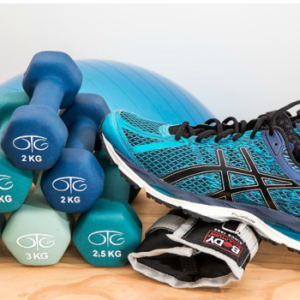 As you are cycling, swimming, or doing aerobic movements, you can picture in your mind just how svelte you’ll be by the spring. We all need something to look forward to. Staying hydrated in the winter is just as important as in the summer. Drink plenty of water to keep your skin from drying out and to keep from dehydrating if you choose to do winter exercise. Everyone likes (and deserves) a little treat from time to time. When you are feeling low, give yourself a little emotional boost by treating yourself a little. Go to the movies or to the spa for a facial. It doesn’t take much to make a big difference. What do you do when you can’t get to your favorite beach and your garden is frozen? Create an indoor oasis. Find a comfy space in your home and surround yourself with bright colors, fabrics, and plants. Not only will you feel relaxed, but the plants will improve the atmosphere, provide moisture to the environment, and clean the air. A simple walk can do a body good. 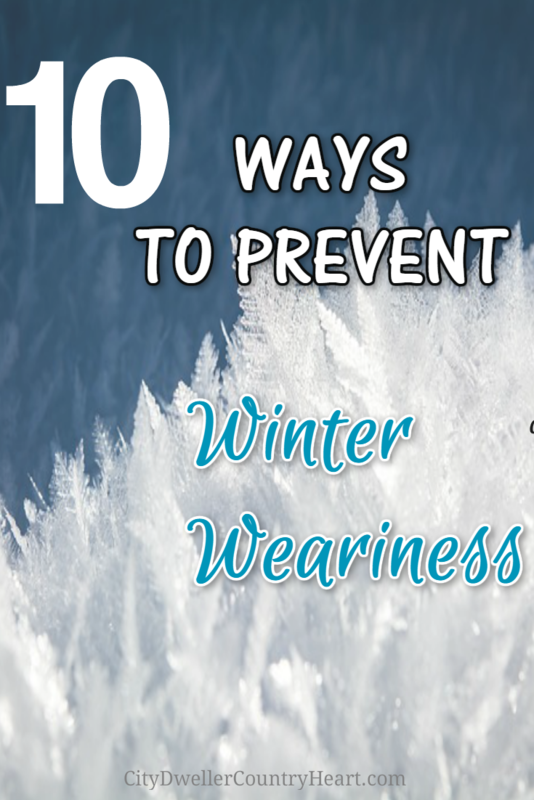 Exercising in the cold requires the body to work harder to keep you warm while you move. 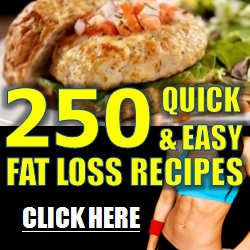 This will cause you to burn more calories and make you feel good, too. A 2-for-1 deal! The typical American takes vacation during the summer and a few days here and there during the rest of the year. Well, try taking a winter vacation as well. Try skiing in the mountains, or hop on a plane to the Caribbean. A winter vacation gives you a much needed mental break and hopefully a bit of peace while you await the summer’s arrival. Meditation goes a long way to decrease the stress and strain that the winter blues may cause. Sometimes you just have to allow yourself the freedom to say, “Whatever” and just chill/veg out. Now, let’s not go overboard and veg out daily. But every now and again everyone needs to just veg. So grab your favorite snacks (healthy or not-your choice), some comfy lounge-wear, and your Netflix information. Embrace the freedom and peace of doing nothing. Take a moment every day to simply be grateful. Think on your day and find something to be thankful for. Even on the worse days, we can find something. Even if that something is waking up to see another day, the ability to hear the beating rain on the roof, or the feel of the rising sun on your skin, we can all find something to be grateful for. Try keeping a gratitude journal where you not only write what you are grateful for but also your thoughts and feelings about your gratitude choices. Over time, you will realize just how blessed you really are. 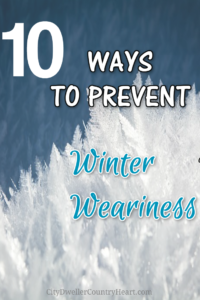 How do you prevent winter weariness?